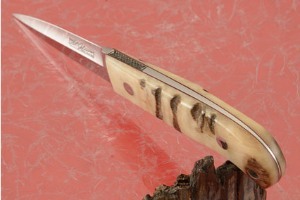 Description: Steve Johnson has been making knives since 1966, and has worked with the likes of Bob Loveless, Rod Chappel, and Buster Warenski. He continues to make knives intended for use that feature well-defined grind lines, precise fit, and highly polished blades. 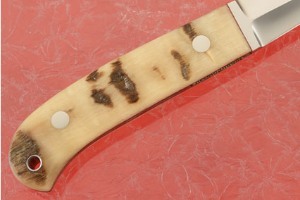 This custom boot knife has been in a private collection. It has been meticulously cared for and by all appearances, Steve could have made it yesterday. The blade features a hollow boot grind. Both edges are fully sharpened. It is made from high performing ATS-34 stainless steel. 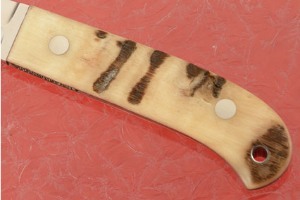 Sheep horn scales are set on the full tang. A distal taper ensures a perfect balance. The tang is knurled near the front, providing a secure finger and thumb purchase. The handle is completed with two stainless steel Corby style rivets and a lanyard loop. 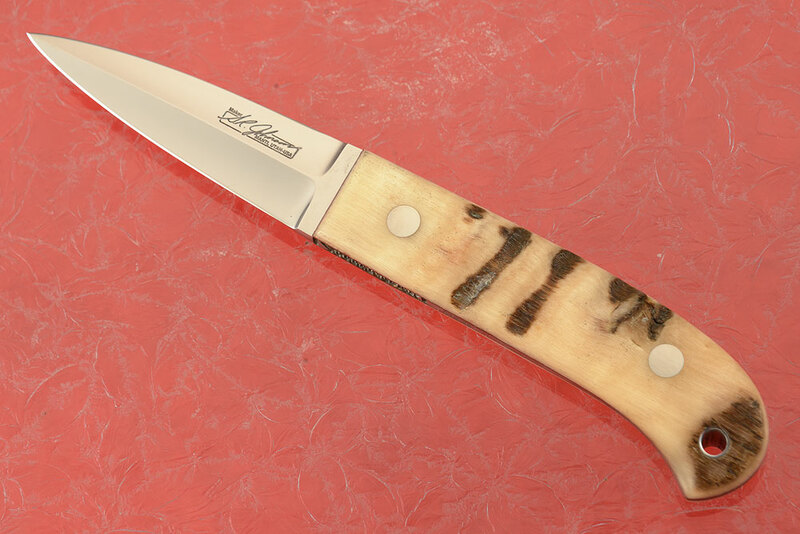 This boot knife has a very comfortable feel in the hand -- you won't want to put it down. 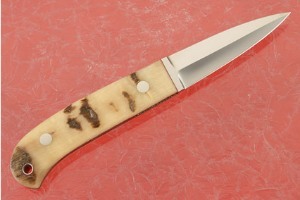 It is an absolutely classy, understated fixed blade that is sure to be the highlight of any collection. As usual with S.R. 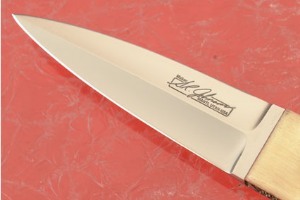 Johnson's knives, fit and finish are beyond compare. 0.07763671875 0.015625 77.63671875 15.625 Trailer Started. 0.171875 0.09423828125 171.875 94.23828125 Trailer Completed.